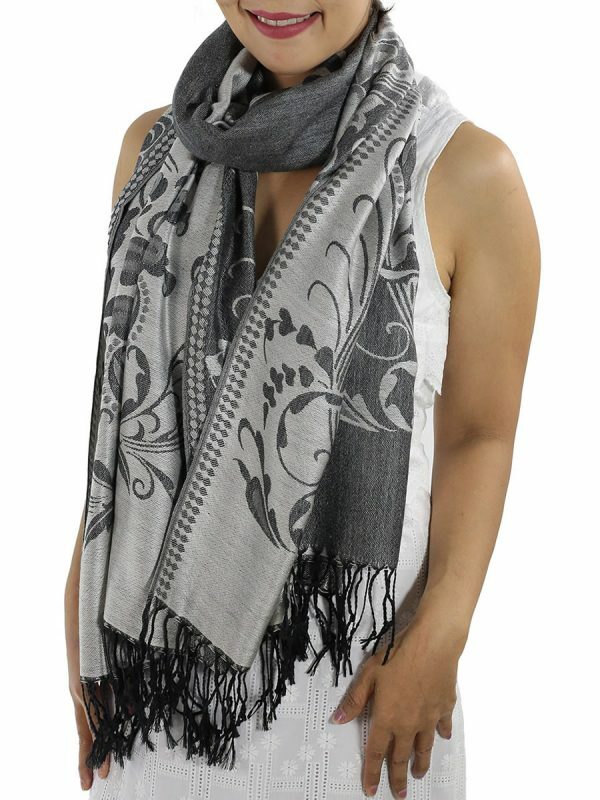 This light and soft patterned Silver Pashmina, look great draped loosely around your neck or body, and gives you endless looks and styles. 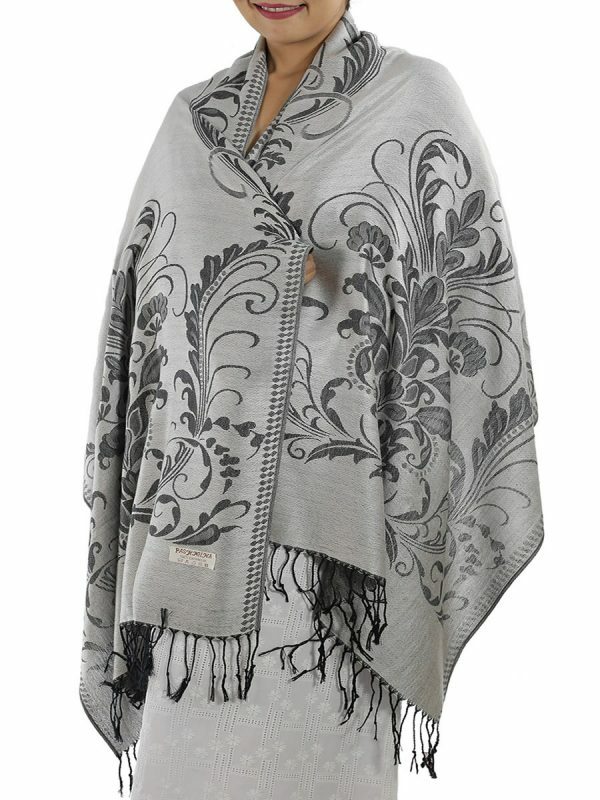 This Silver Pashmina is light and breathable, and is a sensational addition to your wardrobe, giving you relaxed look any time of year. 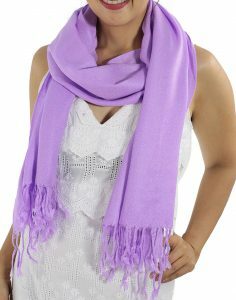 A silver pashmina scarf is a sensational addition to any woman’s wardrobe because it can give you a relaxed yet sophisticated look any time of year. 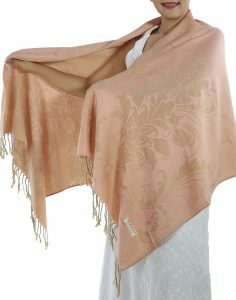 The word ‘pashmina’ literally translates to “soft gold” in Kashmiri and having it wrapped around your for the first time feels like a warm paternal embrace. 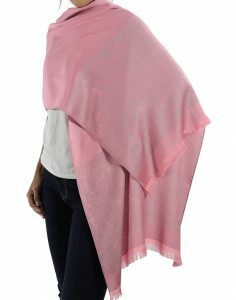 The combination of the suppleness of this rare type of cashmere and the luster of Thai silk in our silver pashmina scarf will make you feel like you have transcended into a heavenly kingdom of comfort and fashion. 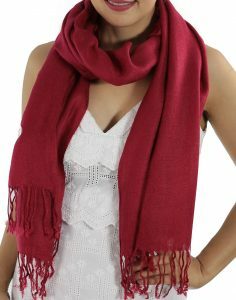 And the best part is that there is no limit to the functionality of a silver pashmina scarf because you can tie it in a multitude of different knots in order to accentuate the various parts of your body or personality. 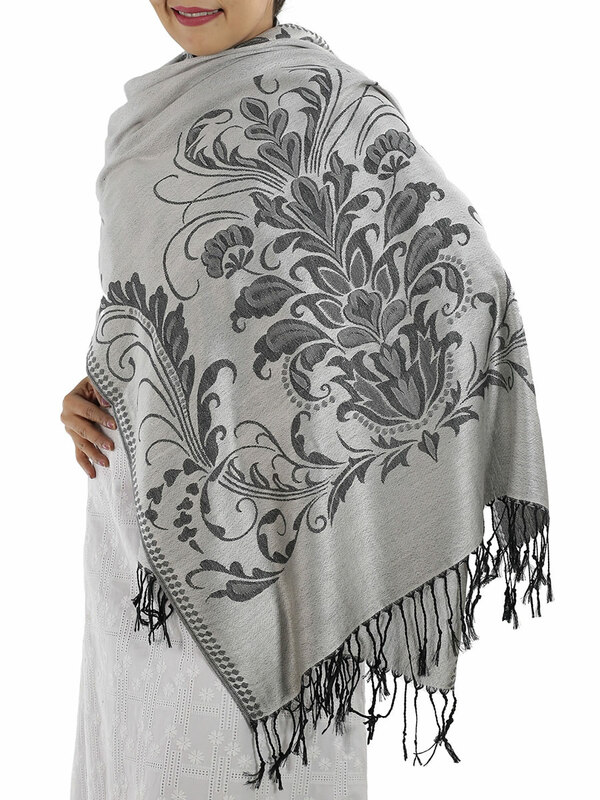 The fancy floral pattern of the silver pashmina scarf makes tying it in a ‘layered’ or ‘four-in-hand’ knot and tucking it into your winter jacket a trendy way to fend off the wintry winds. 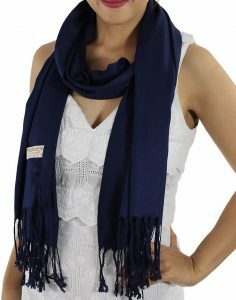 But because a silver pashmina scarf is very breathable, it is also a fantastic way to add a little artistic edge to a simple ensemble of blue jeans and a blouse with a ‘double knot wrap’ or ‘twisty scarf loop’ knot. 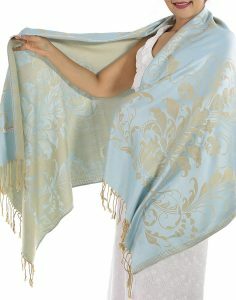 It also looks great draped over your shoulders and allowed to flutter in the wind behind you. 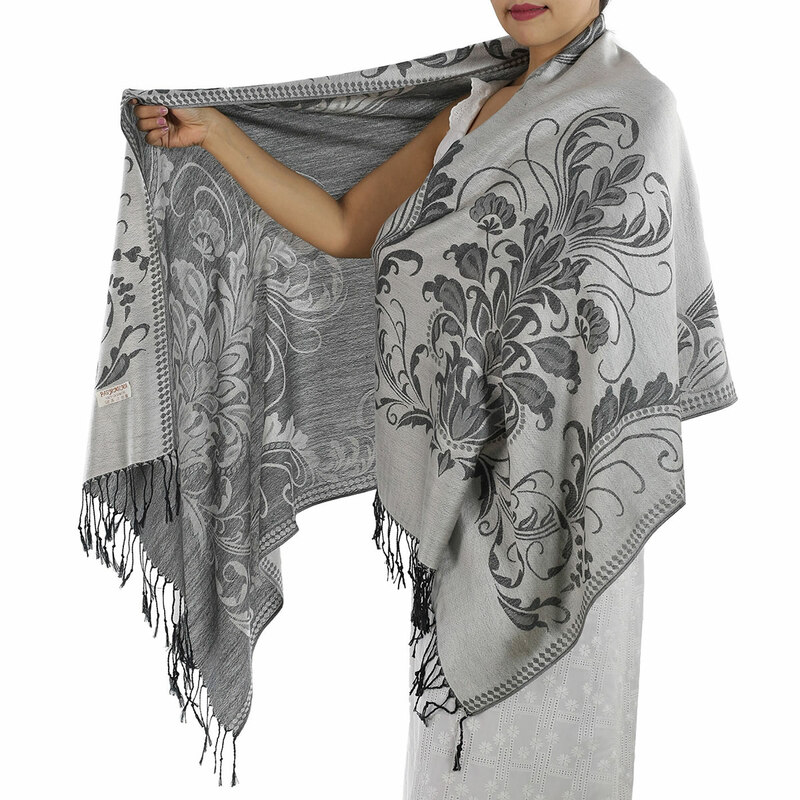 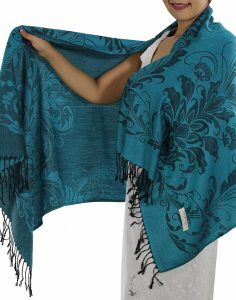 No matter how you decide to use it, there is no better place to get a Thai scarf, like our floral patterned silver pashmina, than from the reliable family wholesaler of thaisilkandscarf.com. 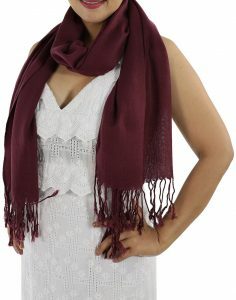 It will inevitably make you the talk of the town because of its utter lissomness and you might even feel like you are in a one-woman fashion show constantly answering the question where did you get that scarf? 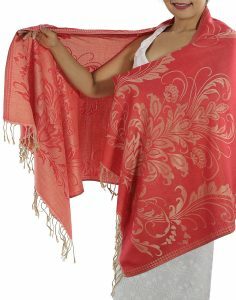 Then you can tell them, “northern Thailand” and watch them be overcome by a wave of covetousness.